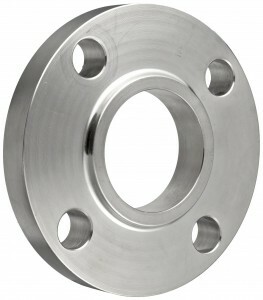 Lap Joint Flanges Manufacturers, Suppliers and Exporters of india. Lap Joint Flanges is a focused manufacturer of high standard quality of industrial lap joint flanges in India. It is quite similar to slip-on flange, where it has a radius at the junction of the bore and as well the flange face which is for to put up a lap stub end. Meanwhile, the look on the stub end shapes out with the gasket face on the flange. Lap Joint flanges are used in functions where parts of the piping systems require to be take apart easily and quickly for replacement or inspection. These lap joint flanges are being offered in full-size range and are widely used at all the pressures. We manufacture and provide lap joint flanges at our best service to various organizations in different industries which include Shipbuilding, petrochemical plants, power generation, oil refineries, paper mills, waste water treatment plants, turnkey projects and pharmaceutical plants among others.